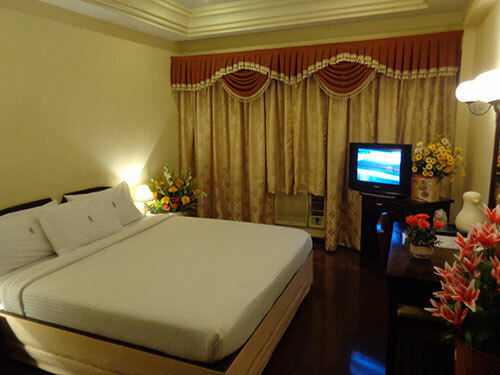 The 154 luxurious and well appointed guest rooms at the Poonja International are tastefully furnished and designed to ensure your every comfort. 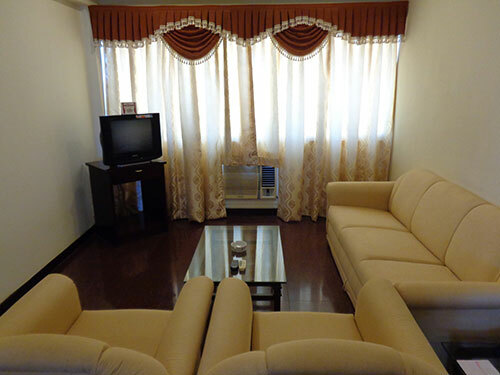 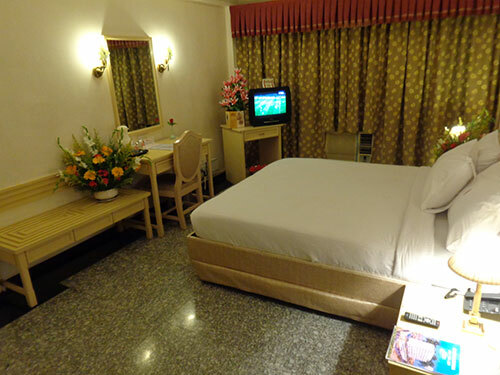 They include single and double rooms, non-air conditioned or with individual air-conditioning, and deluxe suites as well. 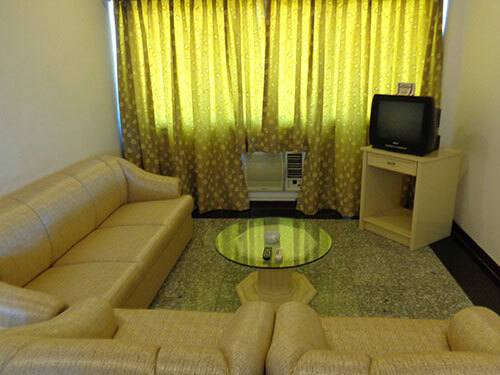 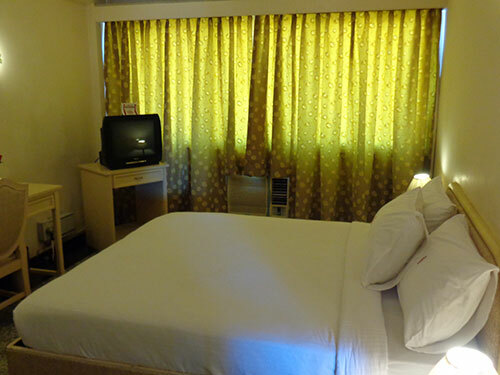 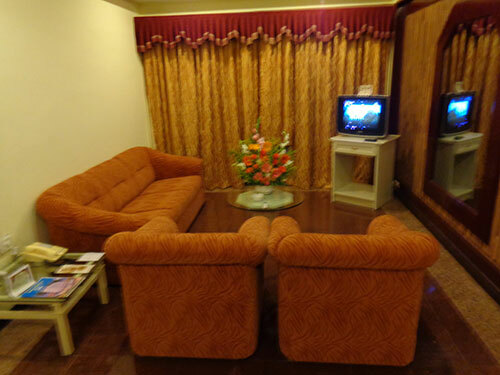 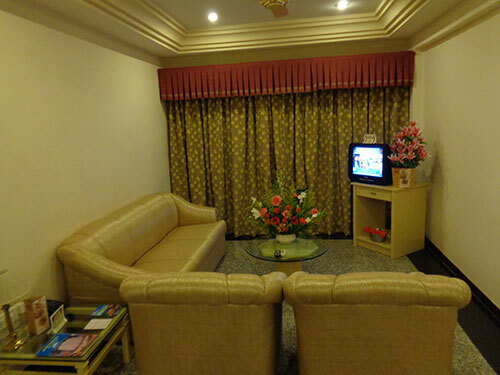 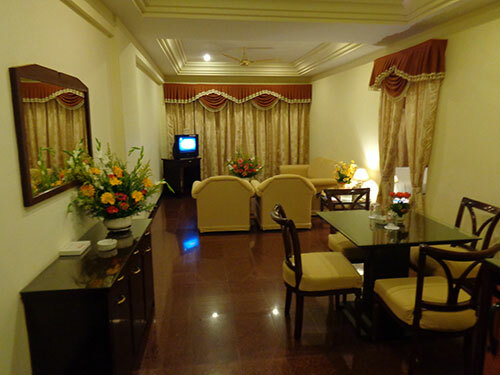 All rooms are equipped with a telephone and colour television. 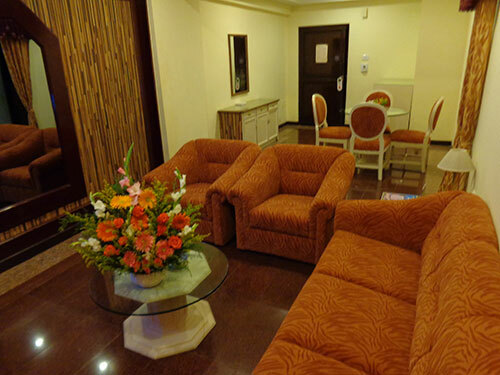 24 hours room service ensure your complete peace of mind and comfort throughout your stay. 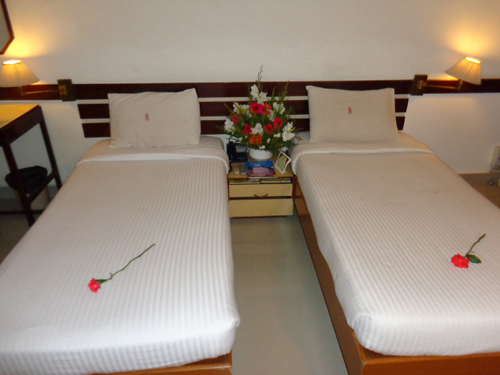 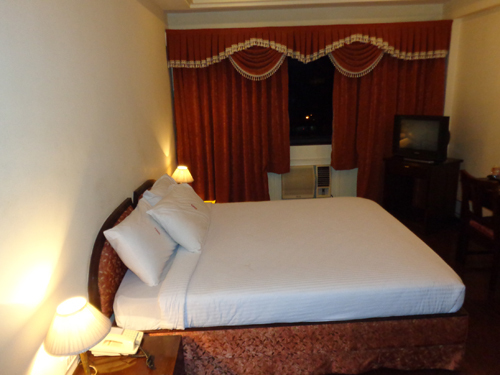 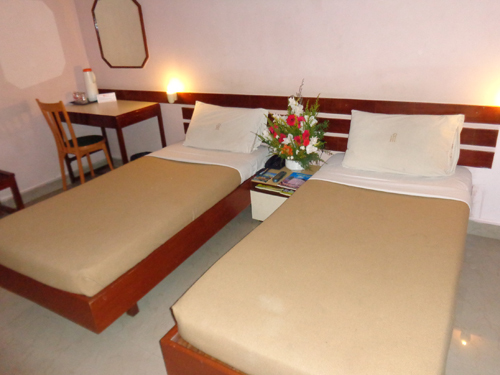 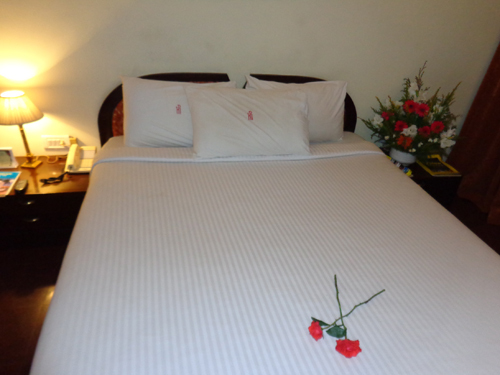 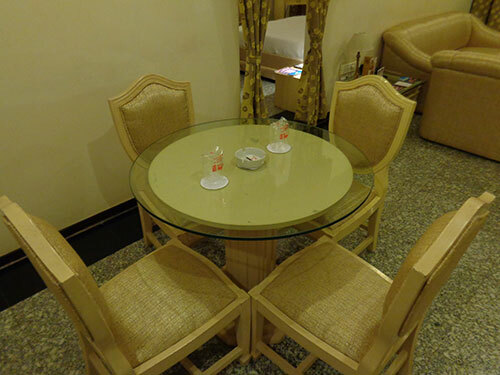 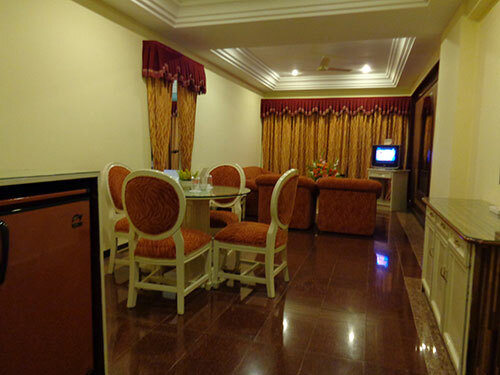 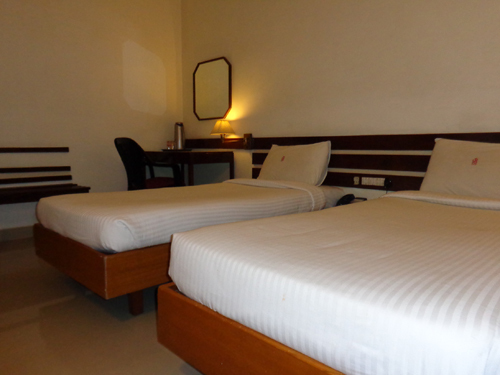 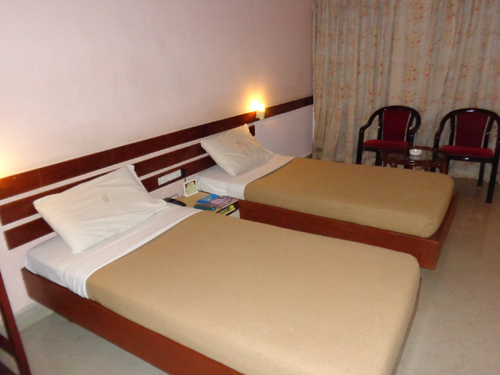 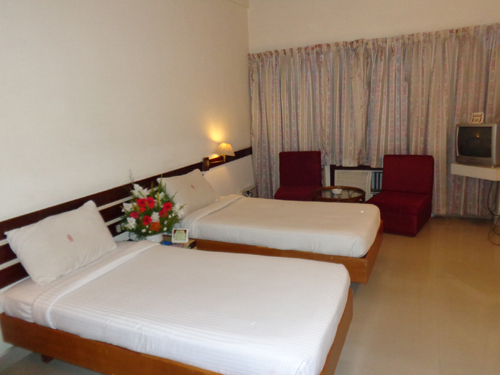 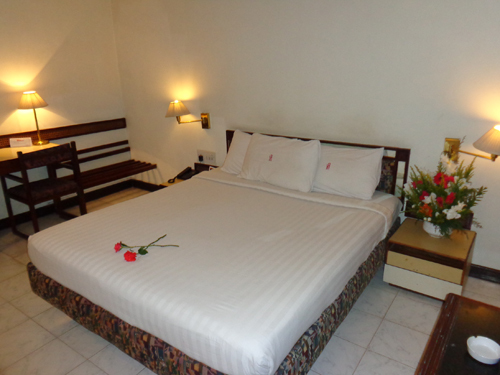 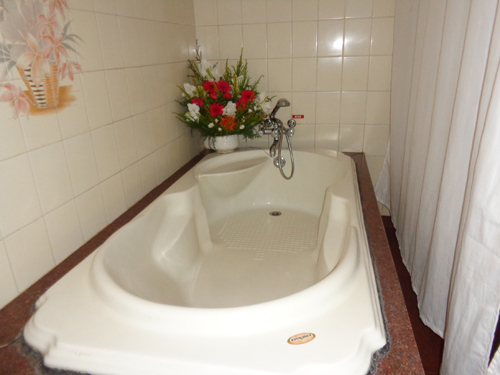 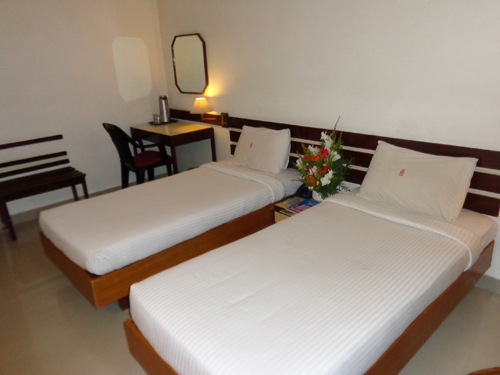 The hotel has a total of 154 rooms, that is 9 suites, 35 A.C Deluxe, 34 A.C Normal and 76 Non A.C rooms. 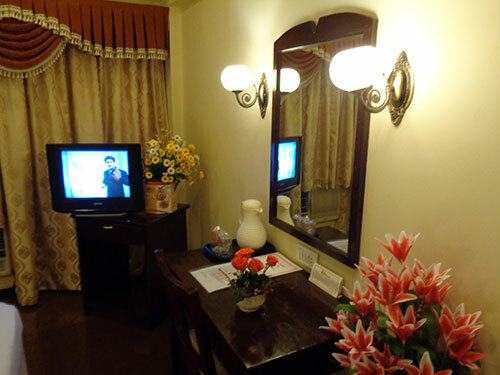 Given below are the details of the room tariffs. 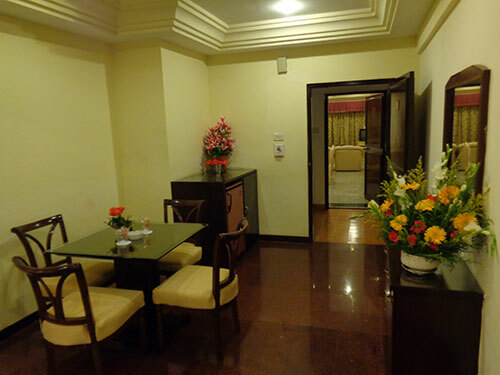 HIGH PLACE : A full fledged Bar over looking down Town. 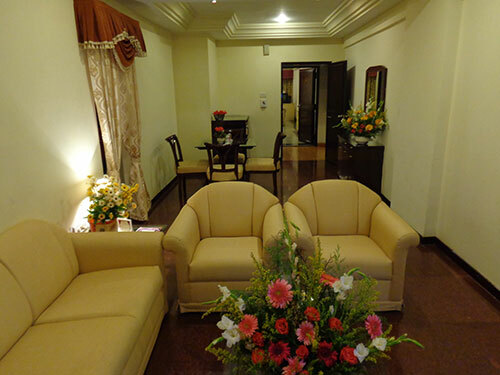 SABHA : A Banquet Hall with a capacity of 75 to 100 pax in theatre style. 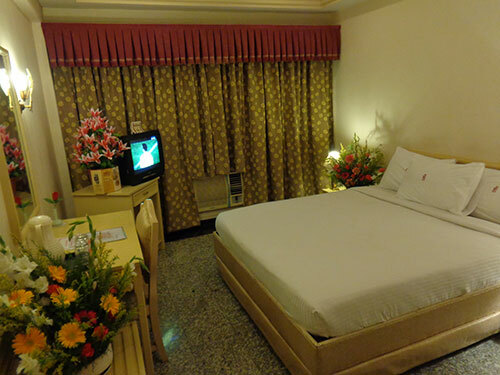 (Only AC Room Morning Breakfast Inclusive, Non ac rooms Morning Breakfast Chargeable extra.